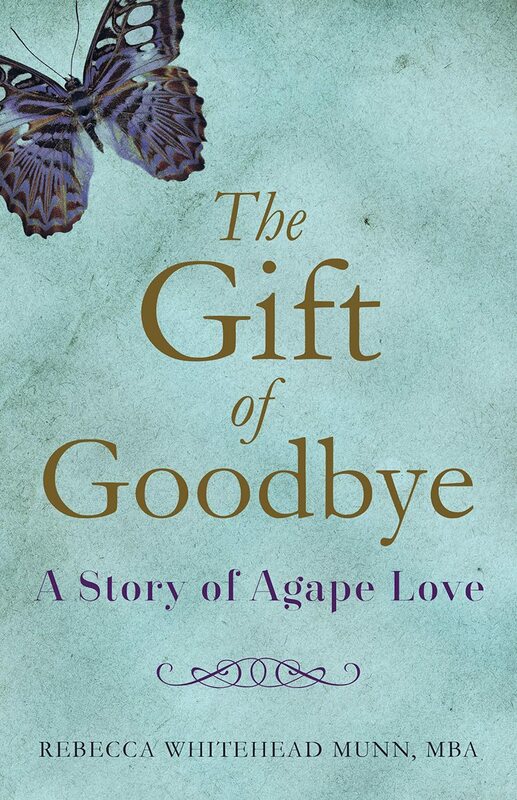 ReaderViews recently completed a book review on The Gift of Goodbye. Below are some highlights and the link to the full review. “The Gift of Goodbye” is a memoir that deals with loss and the subsequent feelings of anger, sadness, depression and acceptance. In the face of a devastating divorce, author Rebecca Whitehead Munn, is unable to cope when she learns her mother is diagnosed with cancer. As Munn’s story unfolds, she begins to view her situation more constructively and sees destruction as an opportunity for growth rather than an obstacle. Delving deeper, she discovers her authentic self by becoming more present in the day-to-day moments. Part of this realization comes from watching her mother, Marjorie, choose to remain optimistic and brave as she rides out the storm of cancer. Marjorie demonstrates to her daughter how to accept a situation rather than wallow in self-pity, and, more valiantly, how to go forth with joy and experience life fully even in the midst of a grave illness. Munn applies her mother’s attitude to her own situation as a recently divorced parent of two young children. She follows her mother’s example and finds a way to emotionally detach from the negativity associated with loss through acceptance and abiding love….it is the honesty of Munn’s writing that makes this memoir worthy of praise. All across the pages she never fails to express the heart-pounding grief as well as the awesome joyfulness she experiences. It is as if we are walking along side her on the path to letting go.